These are the brussels sprouts Michael picked from the garden on Sunday. They are the Long Island Improved Brussels Sprouts that I planted from seed last fall. This was one of those instances where I planted old seeds (two years old) and just hoped for the best. Most of the seeds did not germinate, but we at least got one plant. We used the brussels sprouts as a side dish to the main course for Sunday dinner: a broiled lemon-and-dill-marinated halibut with mashed potatoes. 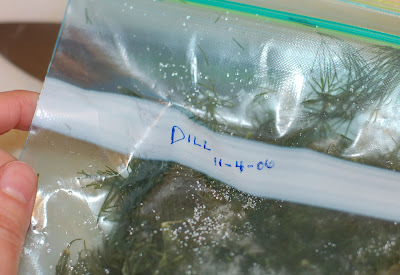 I used some of the dill that I froze in the fall and combined that with lemon rind, salt and pepper to make a simple rub/marinade for the halibut. 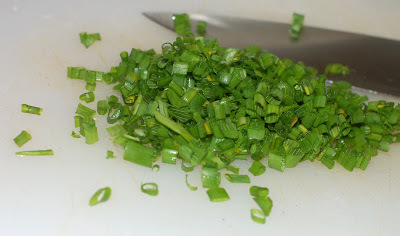 And I used the last of our chives to add color and freshness to a batch of mashed red potatoes spiked with horseradish. The recipe for the potatoes and fish can be found here at Cooking Light. Add a few green beans (new year's resolution = eat more veggies) and here was the final delicious result. A garden-inspired meal. This looks great! I absolutely love brussels sprouts---as long as they're not cooked until they're grayish-green...the way my mom cooked them. 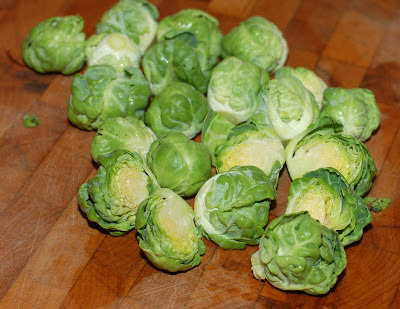 I think that's why most kids hate brussels sprouts---they look and smell gross when they're cooked that way! The potatoes look yummy. I'll have to try that recipe. Your meal looks delicious! I can't wait to harvest my own veggies again this spring, summer and autumn! Ah, I need to check my (old) seeds, there should be some brussels sprouts as well that I've never tried so far! That meal sounds so good! I have never tried sprouts from seed, but our growing season is short, so I might not be able to do it. I had parsely until last night, (11º) but nothing else for herbs. Guess winter has finally come to Maine. 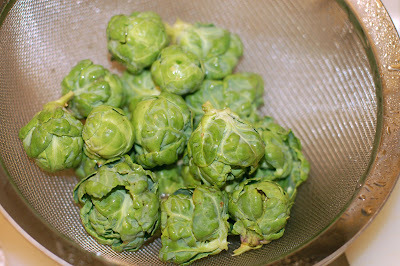 Brussel Sprouts..."blehhh, brussels sprouts, yuck", I don't care how you cook them. The rest of the meallooks delicious. Oh, I think I could eat those brussel sprouts right off of the computer monitor. Fabulous! Put my name in the 'Likes Brussel Sprouts' column, too, Christa. 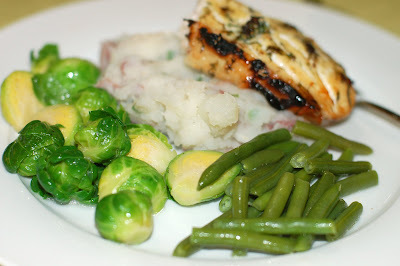 Your combination of the sprouts with dilled halibut and horseradish potatoes looks totally delicious. Yum, Christa--that looks like a great meal! I agree with Colleen about why most kids hate them. I just made them for my boyfriend a few months ago, and it was the first time he'd had them as an adult. They were nothing like he had remembered, and he loved them. Any chance of an invitation to dinner?! Patrick at Bifurcated Carrots recommends Long Island Improved.